Ready to refashion? Chances are you've got an old t-shirt or two lying about the house. 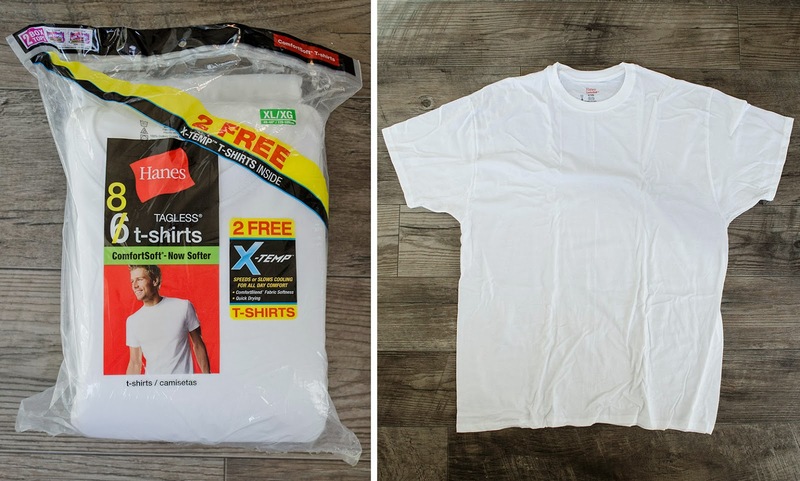 Grab that poor faded tee, raid your hubby's undershirt drawer, or head to the nearest big box store and buy a pack of these babies (this pack of 8 was about $13). I bought XL shirts because I knew no matter what size I bought I'd be taking it in all over the place, so I might as well have extra fabric to work with for more crafts and refashions! Here's the scary part: Cut that sucker in half! Don't worry, it's worth it. Besides, we're going to use that upper portion for something else later - no waste, no worries! 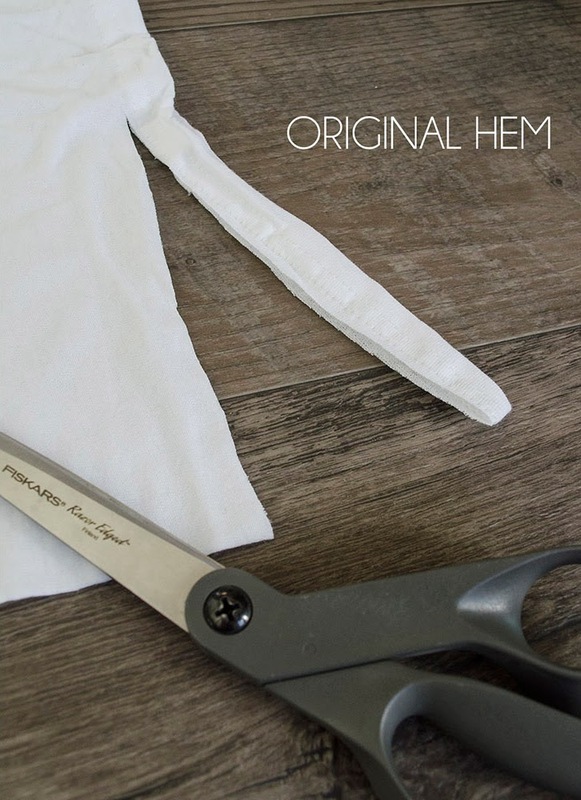 Cut the shirt about a half inch below where the sleeve stitching ends. 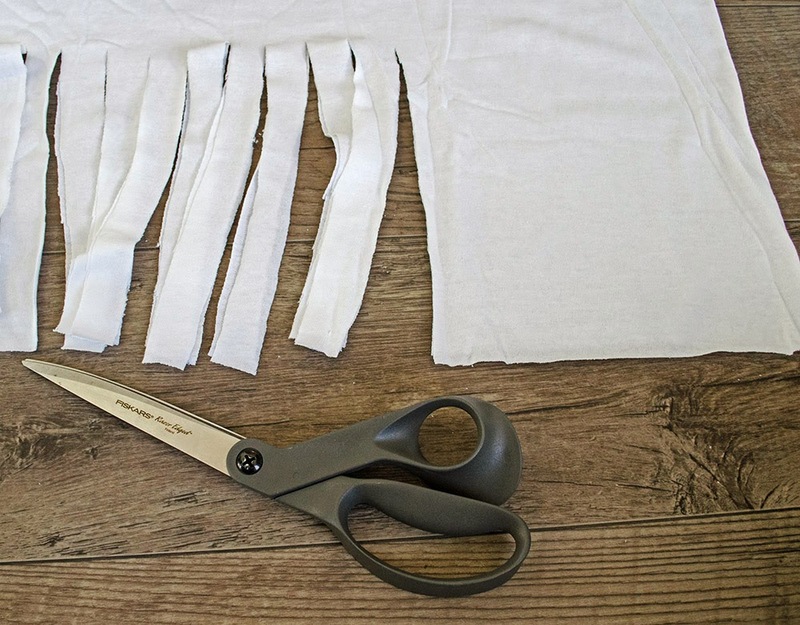 Trim off the original t-shirt bottom hem and toss in the scrap pile (don't throw away! 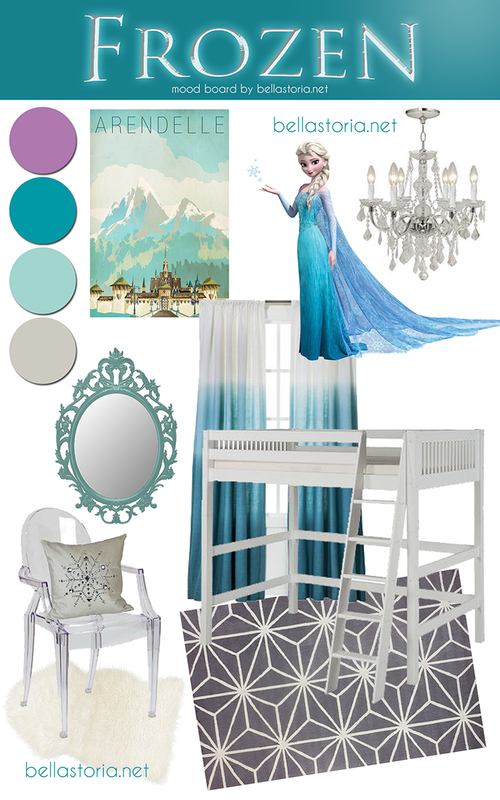 We're gonna use everything for other refashions!). Cut 1" wide sections of fabric strips along the width of the fabric. My strips were about 6" long and 1" wide. Note: I cut roughly halfway up the t-shirt "band" I had made, leaving plenty of uncut, non-stripped (you know, keeping this PG-rated) fabric for the neck band portion of the scarf. Scissors getting dull like mine? Not-so-steady hands? Kids insist on helping to cut? No worries! 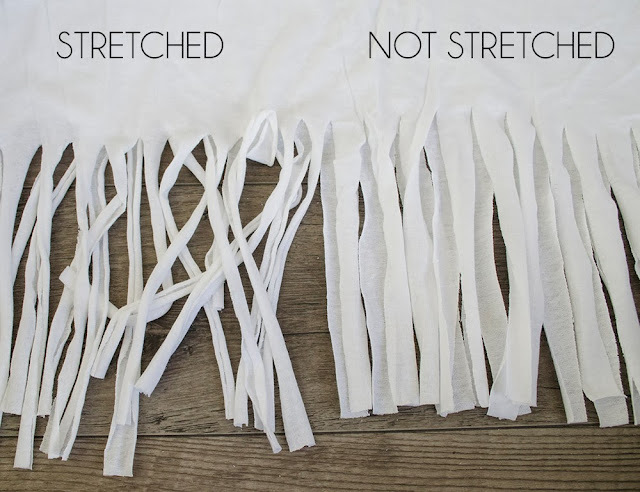 The strips do NOT need to be perfect. Once we stretch the fabric you won't notice the flaws. 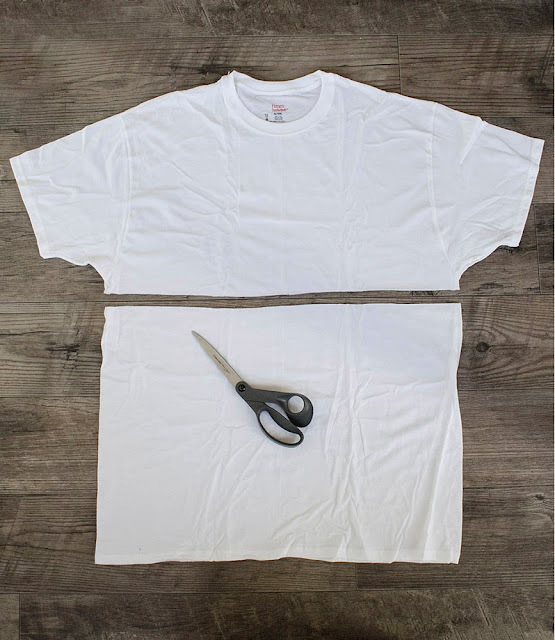 Once you've cut along the width of the shirt band, you should have two ends (on the right and left) that still need trimming. This is where the front and back of your t-shirt met. 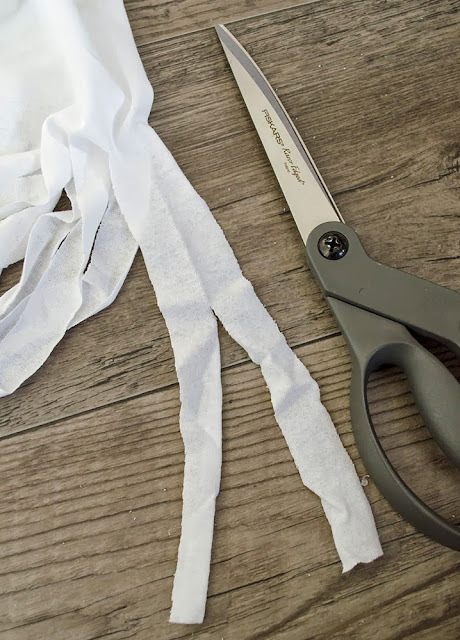 Just trim right up the center of the fold to make them even with the rest of your fabric strips (1" wide). 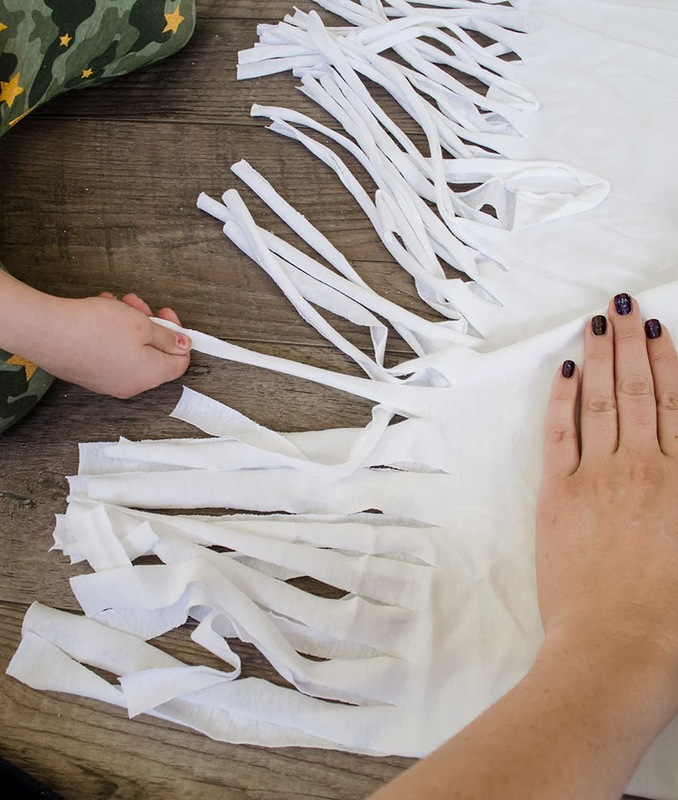 Employ your eager munchkin to help gently, but firmly, pull the strips of fabric from base to end. This gives the strips a curl and swing that you won't achieve if you just leave them as-is. 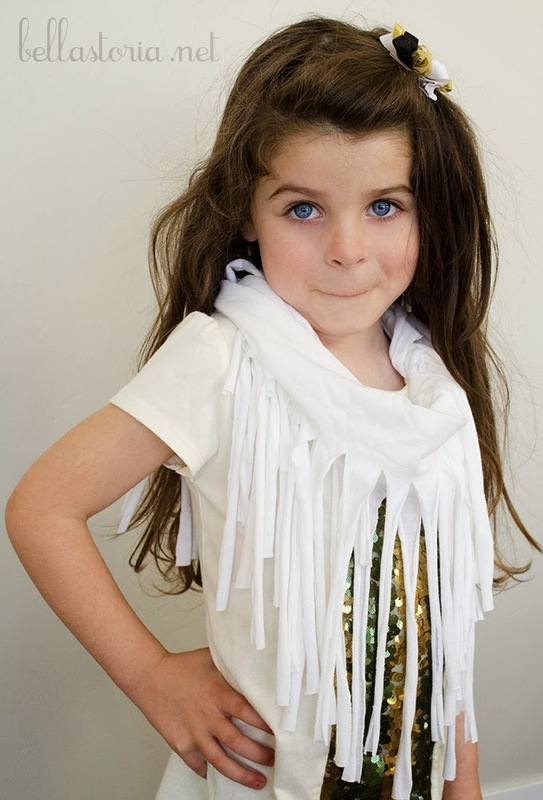 Whip out your camera, cause your munchkin will look super cute (and way too old! *sniff*) modeling your latest trendy refashion! Congratulations! You've just created a fun, trendy accessory that will make a basic t-shirt and jeans ensemble super fashionable! 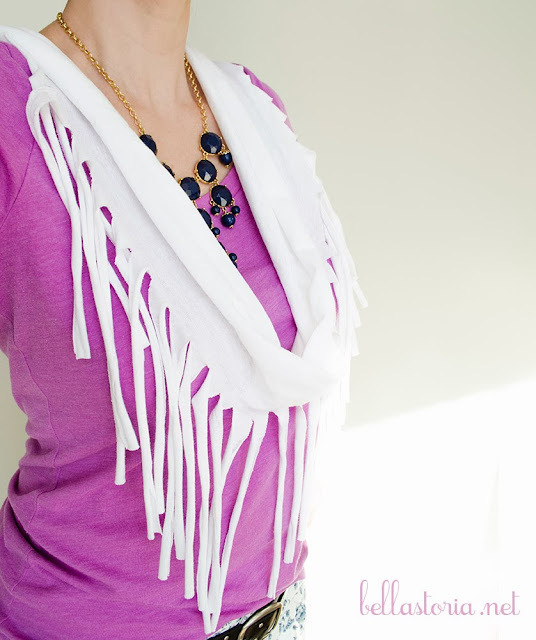 Play around with the length of tassels, width of "scarf" portion, color of fabric, and embellishments. I've seen these with pony beads added to the ends, Rit dyed, or made cute with an added vintage brooch. DON'T FORGET TO ENTER OUR JEWELRY GIVEAWAY! Q: Did you make this? Send me your link; I'd love to see!